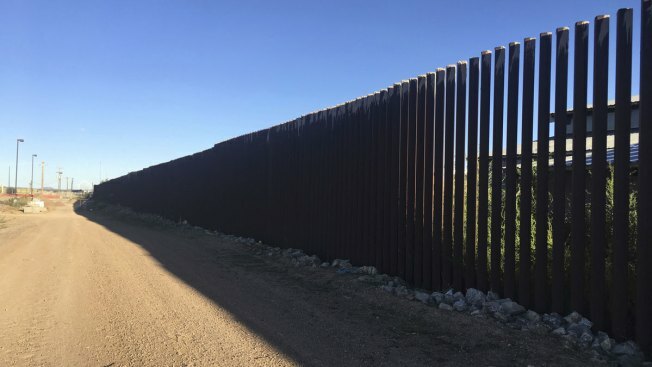 This Oct. 3, 2018, file photo shows a border fence in Columbus, New Mexico. The deaths of two migrant children in just over two weeks raised strong new doubts Wednesday about the ability of U.S. border authorities to care for the thousands of minors arriving as part of a surge of families trying to enter the country. An 8-year-old boy, identified in a statement from incoming Congressional Hispanic Caucus chairman Rep. Joaquin Castro, D-Tex., as Felix Alonzo-Gomez, died in U.S. custody at a New Mexico hospital on Christmas Eve after suffering a cough, vomiting and fever, authorities said. The cause is under investigation, as is the death Dec. 8 of another Guatemalan child, 7-year-old Jakelin Caal.